Since everyone’s pool is different there is no one-size-fits-all guide to swimming pool opening and closing. 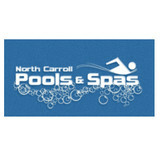 North Carroll Pools & Spas has been opening and closing pools in Carroll County for the last 20 years. Our customers rely on our expertise to make their pool ownership experience healthy, safe and enjoyable. Whether you need information on opening or closing your pool, or you want us to handle it for you, we are here to help. Let Us Help You Create Paradise in Your Backyard The Relaxation Zone was founded on the ideal of delivering high quality spas and hot tubs with attention to detail while constantly exceeding expectations. The Relaxation Zone was opened in response to a growing market in need of a retailer focused on customer service. The Relaxation Zone's mission is to meet your needs and exceed your expectations. Delivering a great product, with a great attitude and with great care is our mission. Not only are we there to sell you the best products, we stand behind and service them as well. 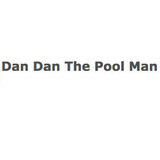 What should I look for when hiring a pool cleaning service in Camp Hill, PA? Pools and hot tubs are big investments, so you’ll want to make sure to protect them by hiring an expert who cares about them just as much as you do. Check that the Camp Hill swimming pool maintenance service you are interested in actually specializes in the type of pool you have — chlorine and salt water pools have very different needs, and in-ground versus above-ground pools will require different upkeep and repair methods. Also, know who will be doing the repair or service; if it’s one of the larger swimming pool services in Camp Hill, PA, request that you get same person every time, otherwise you could get inconsistency in treatments. Good Camp Hill pool professionals will keep a consistent schedule and log everything they do so that it can be referenced in the event that you switch companies or something does go wrong. Like any other professional, look for local pool cleaning companies near you with plenty of good reviews and relevant experience. 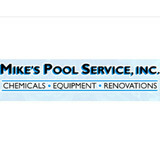 Find a Camp Hill, PA swimming pool repair and maintenance specialist on Houzz. 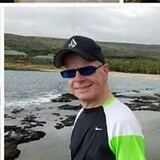 Narrow your search in the Professionals section of the website to spa and pool maintenance companies in Camp Hill, PA and read reviews and ratings for pros in your area.